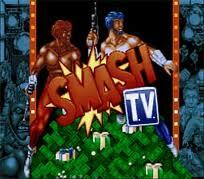 Smash TV, known as Super Smash TV on some other versions, is a 1990 arcade game created by Eugene Jarvis and Mark Turmell for Williams. 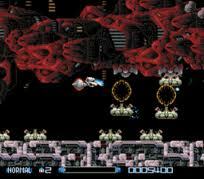 It is a run and gun game in the same vein as its predecessor, Robotron: 2084 (also produced by Jarvis). 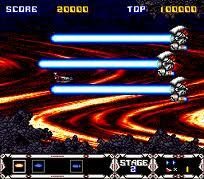 As in the previous game, players battle waves of enemies by using guns; the arcade version even uses the two-joystick control system of Robotron. The plot of Smash TV revolves around a futuristic game show in which players compete for various prizes, as well as their lives. 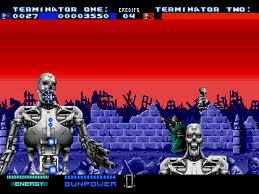 Home versions were developed for various platforms, most of which were published by Acclaim Entertainment. Space Invaders (スペースインベーダー, Supēsu Inbēdā?) 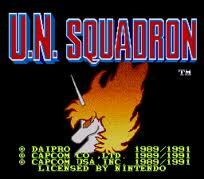 is an arcade video game developed by Tomohiro Nishikado and released in 1978. It was originally manufactured and sold by Taito in Japan, and was later licensed for production in the United States by the Midway division of Bally. Space Invaders is one of the earliest shooting games and the aim is to defeat waves of aliens with a laser cannon to earn as many points as possible. In designing the game, Nishikado drew inspiration from popular media: Breakout, The War of the Worlds, and Star Wars. To complete it, he had to design custom hardware and development tools. It was one of the forerunners of modern video gaming and helped expand the video game industry from a novelty to a global industry (see golden age of video arcade games). 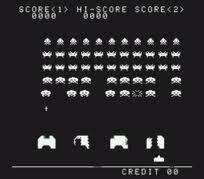 When first released, Space Invaders was very successful. The game has been the inspiration for other video games, re-released on numerous platforms, and led to several sequels. The 1980 Atari 2600 version quadrupled the system's sales and became the first "killer app" for video game consoles. Space Invaders has been referenced and parodied in multiple television shows, and been a part of several video game and cultural exhibitions. The pixelated enemy alien has become a pop culture icon, often used as a synecdoche representing video games as a whole. Strike Gunner S.T.G (エス・ティー・ジー?) 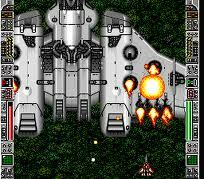 is a vertical scrolling shoot 'em up video game originally released on the arcades in 1991 by Tecmo, and then later ported for the Super Nintendo. 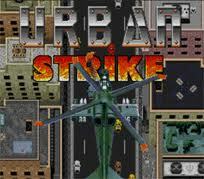 The Super NES version is known in Europe as Super Strike Gunner and was published by Activision.The player takes control of a high-tech jet, the "Strike Gunner" of the title, and faces wave after wave of enemies, ranging from helicopters, jets, tanks and airships, among others. Super R-Type (スーパー・アール・タイプ, Sūpā Āru Taipu?) 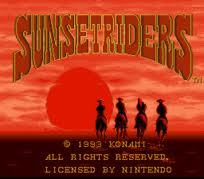 is a shooter game for the Super Famicom and SNES, developed and published by Irem in 1991. 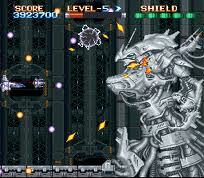 It is a remake of R-Type II in a manner similar to the Super Famicom/SNES version of Gradius III. 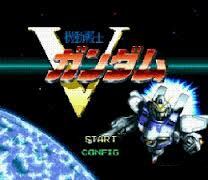 The game has been re-released on the Wii Virtual Console in Japan, North America, and PAL regions in 2008. 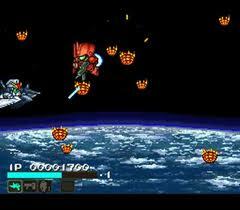 Thunder Force III is a scrolling shooter game developed by Technosoft. It is the third chapter in the Thunder Force series. 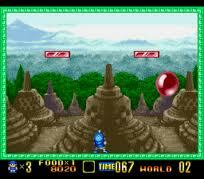 It was released in 1990 in Japan, Europe and the United States for the Mega Drive/Genesis game console. 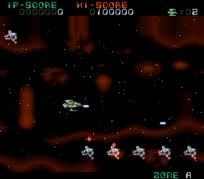 During the same year, it was retooled into an arcade game named Thunder Force AC. 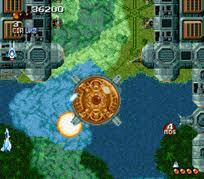 In 1991, Thunder Force AC was ported to the Super NES/Super Famicom, renamed Thunder Spirits. Wild Guns (ワイルドガンズ?) 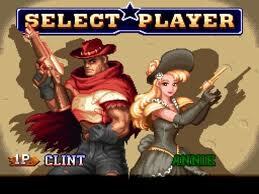 is a fixed-view western shooting gallery game developed by Natsume for the Super Nintendo Entertainment System in 1994 in Japan and in 1995 in North America. The PAL version was released in 1996 and published by Titus Software. It is also available on the Wii Virtual Console in North America on May 31, 2010 and in the PAL region on August 13, 2010. 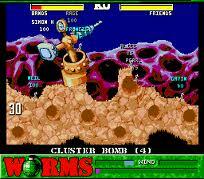 Worms is an artillery strategy video game developed by Team17 and released in 1995. 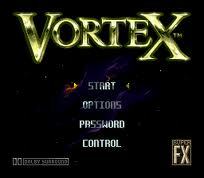 It is the first game in the Worms series of video games and was initially only available for the Amiga. Later it was ported to other platforms.Worms is a turn based game where a player controls a team of worms against other teams of worms that are controlled by a computer or human opponent. The aim is to use various weapons to kill the worms on the other teams and have the last surviving worm(s).